What if I’m not made an offer for my claim? Why use The Fair Trade Practice? We are proud to be an ethical claims management company with over 94% of our new customers being recommended to us* so we do not need to cold call or advertise. Our friendly and helpful staff guide you through the process from start to finish and the average amount received by our successful clients is more than £3,300*. Will looking into my finances affect my relationship with my bank? Not at all. You are protected by the Financial Conduct Authority’s ‘Treating Customers Fairly’ initiative, which protects your rights. This therefore prevents your relationship with your bank being affected by checking for PPI. Will this harm my credit? Investigating a PPI claim does not affect your credit rating or credit limit. Providers will not add the details of your claim, or any compensation you receive, to your credit record. What if I’m in arrears? You can still check for PPI if you’ve had late payments or arrears in the past, but any compensation you receive will first be used to clear the outstanding debt. Any remaining amount after this will be paid to you directly or credited to your account. In these circumstances our fee still applies. The deadline for all PPI complaints to be submitted is Thursday 29th August 2019. This applies to all new PPI complaints, and means anyone trying to submit a claim after this date will not have their complaint assessed by the lender and could miss out on money which is rightfully owed to them. 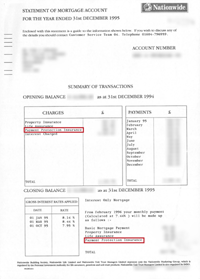 Who set the PPI deadline and why? Industry regulators the Financial Conduct Authority (FCA) imposed the PPI claims deadline in an attempt to ‘bring the PPI issue to an orderly conclusion’ in a move they said would ‘benefit consumers’. They set a two-year window for consumers to complain about mis-sold PPI, saying this was ‘reasonable’ time for UK customers to decide whether or not they wanted to make a complaint. What does the deadline mean for me? If you are yet to check your finances for mis-sold PPI then the clock is ticking. You have less than a year to find out for sure whether or not you were one of the millions mis-sold PPI, or say goodbye to your chance to check forever. We can help, just click here to find out more. If you currently have claims with us which have reached the stage where the complaint has been passed on to the lender, then you won’t be affected by the deadline. Your complaints are already submitted, and will progress as normal beyond August 29th. If however you are at the early stages of your claims journey with us then please ensure we have everything we have asked of you so far to progress your claim. Simply having your initial call with us or even returning your starter pack may not be enough to beat the deadline, so provide us with the signed forms, documentation and information requested as soon as possible to make sure you don’t miss out. Could my chance to claim end even sooner than August 29th? Yes. There are rules surrounding jurisdiction and timebarring that could mean your grounds for complaint will actually run out before the industry-wide PPI claims deadline. 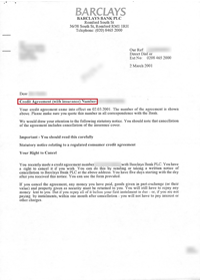 Some banks wrote letters to their customers back in 2015 to warn them about potentially mis-sold PPI. These letters set a three-year countdown into motion, so millions who have not followed-up will in fact lose their chance to check before 2019 even begins. What will happen after the deadline? From the 30th August onwards no one will be able to submit a new PPI complaint. Cases already with the lender will be processed as normal, and the right for those cases to be referred to the Financial Ombudsman Service (FOS) will continue. So we may not see the last PPI complaint actually processed until 2020 or maybe even 2021. As for the money which the banks have set aside to compensate those who were mis-sold PPI, there is no regulatory requirement for the lenders to proactively contact customers. No official statement has been made by the major lenders but it seems safe to assume that the leftover money will simply be absorbed back into the banks’ profit margins. According to the FCA £31.9bn has been paid out in consumer redress since 2011, compared to £46.6bn which UK financial firms have allocated for PPI provisions. This means £14.7bn is waiting to be claimed – and risks going to waste if millions more do not submit their complaints in time. Is the deadline a good idea? This question was debated heavily in the run-up to the FCA’s deadline announcement in March 2017. Whilst some banks had been campaigning for a cut-off years earlier, some commentators questioned why a deadline should be imposed at all whilst consumers were still out of pocket. The FCA have pointed to an increase in complaint numbers and millions who have used their dedicated PPI website and helpline since the announcement of the deadline as a measure of success. However that will count for little if millions more still lose out on money which is rightfully theirs, a perfectly possible scenario if they do not get their complaint submitted within the next 12 months. Which lenders can I claim from? We have won compensation back for our clients from more than 50 different lenders, including Lloyds, Barclays, RBS, Santander and HSBC. Click here to see the full list of lenders. What will I need to provide to make a claim? Please ensure you pass on to us all the documents you have, to the best of your knowledge, relating to your case as the more information we have the easier it will be to progress your claims. The exact details required will vary depending on your lender, but your claims handler will explain this to you when you speak on the phone. We’re here to make the process as simple as possible for you. We will submit the complaints on your behalf, communicate with lenders directly and ensure the final decision you receive is fair. To ensure you are always up to date with the status of your claims you can sign up for our online personal claims management tool Update+ which provides you with 24/7 access to your claims. How long will my investigation take? Every claim is different, so unfortunately we cannot tell exactly how long a claim will take from starting your investigation to receiving a final decision. Our friendly staff will keep you up to date throughout the process though and you also have 24/7 access to our online personal claims management tool Update+. If you do receive an offer, on average lenders release the payment to the customer up to 28 days after the date of offer acceptance, although in some exceptional circumstances this may take longer. What if I’m no longer in contact with a joint account holder? We can still pursue your claims however this would be on a case-by-case basis as lenders do not have to agree to pursue these cases without other signatories. Also please note that in some joint claims you may not receive the full amount of any resulting compensation, and our fee will be charged at our normal rate based on the amount you receive. How do I fill out the pack? On the inside page you will find a step-by-step guide on how to complete and return your pack. Please follow steps 1-5 and if you have any problems please call us on 01489 660 300. What should I do if I don’t have the account numbers? The more you can remember the easier it will be to start your check, so please provide as many details as you can. If, however, you cannot provide these we will try and get what we need from the lender directly. In instances where this is not possible you will be made aware and we will discuss the next stages with you. What is an Instruction Authority or LOA? LOA stands for Letter of Authority and like an Instruction Authority provides us with your consent to progress your claims on your behalf. Where do I send my pack? Please return your claims pack in the pre-paid envelope provided. This will be posted to our office at 3 Whittle Avenue, Fareham, PO15 5SH. What happens after I return my pack? Once we’ve received your completed pack we can begin our investigation. If we need any further documentation or details we will be in touch. What kind of evidence do you need for proof of name or address? 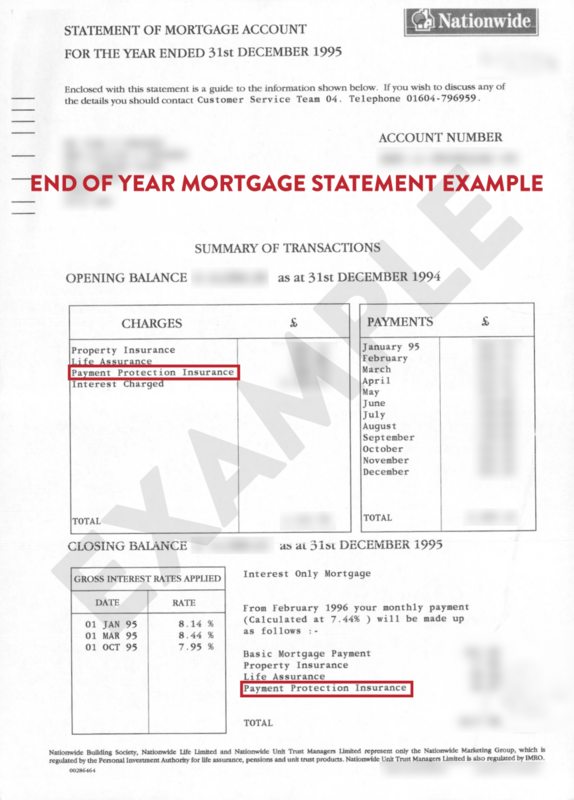 Please be aware some lenders require original copies of these documents, but we will inform you when this is the case. If you have moved house but failed to up date your bank your lender may require you to fill in their own change of address form. If this is necessary we will send it to you. 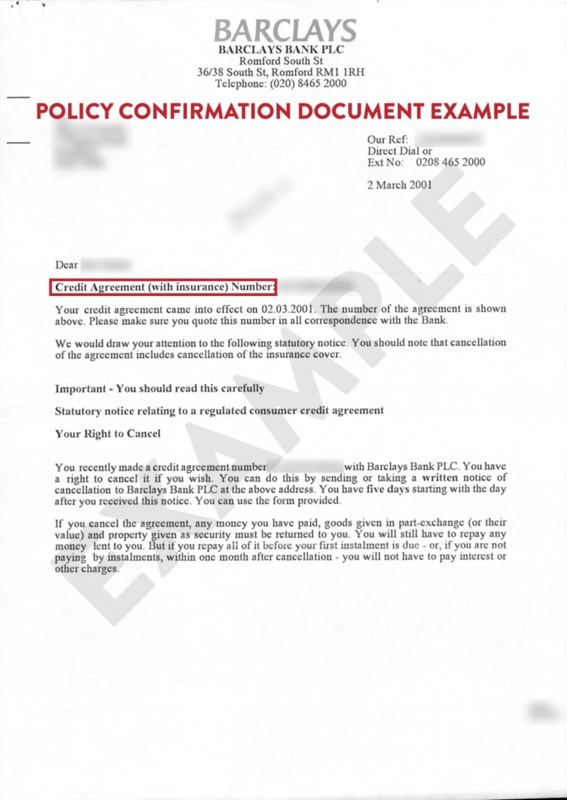 Although original copies of these documents will not be required, some lenders will only accept certified copies, and again we will inform you when this is the case. What kind of evidence do you need for proof of account or proof of PPI? 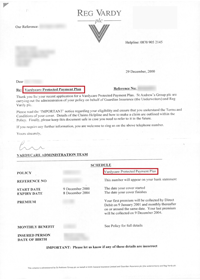 Why are you asking for proof of PPI? Sometimes during the information gathering process lenders are unable to determine whether PPI was attached or not, so in order to pursue the complaint we must offer proof of this. For types of evidence we require for proof of PPI see Types of Proof above. Why am I being asked for account numbers? We will always try to retrieve missing account numbers if you are unable to find them. If we do request account numbers from you it will be because the lender was unable to locate them during our preliminary investigations and they have told us they need this information to proceed any further. Why am I being asked to sign another LOA? How do I register for Update+? Registration for Update+ is easy. On receipt of your claims pack we will send you an email with your own unique sign up link. If you have misplaced this email or have forgotten how to log in, please call us on 01489 660280 and we’ll be happy to help. PPIQ stands for Payment Protection Insurance Questionnaire. 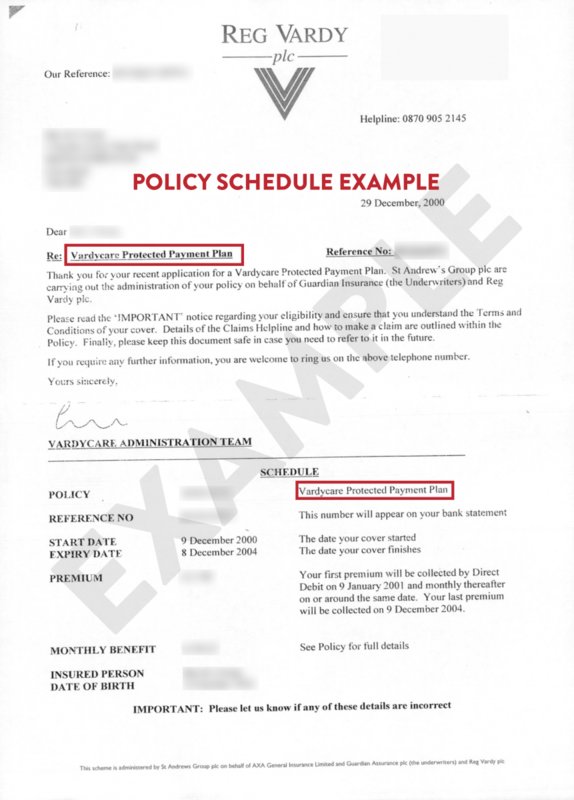 It is the written record of the discussion you have with your claims handler to establish the grounds for mis-selling PPI. Do I have to speak directly to the lender? It is only in very rare circumstances that we will ask you to contact a lender directly, and only when we have no alternative. If you are asked to contact your lender please contact us first so we can ensure you are fully prepared before speaking to them. Some lenders have been known to contact customers directly, however you are not obliged to speak to them and we would recommend you refer them back to us. What is a cold claim? Claims are marked as ‘cold’ when we have been requesting additional information for a certain period of time but it has not been provided. It does not mean your complaint is closed, just suspended. During this time we will focus our efforts on any other claims you have ongoing until you provide the requested information or inform us you can’t. What happens if the lender says no? If your lender feels that PPI was not mis-sold and declines your reasons for complaint, it is not necessarily the end of the process. Our specialist in-house team will assess each claim and decide whether there are grounds to refer the case to the Financial Ombudsman Service (FOS). FOS has the power to overturn the lender’s decision and do so in the majority cases. Who are FOS & FSCS? FOS stands for the Financial Ombudsman Service and is an independent public body that resolve disputes between consumers and businesses. FSCS is the Financial Services Compensation Scheme, a government compensation fund that can assist customers of lenders who are no longer trading. How long do FOS & FSCS cases take? As a national body FOS deal with an extremely high number of cases. Each referred case is assessed independently. The time it takes for them to reach a decision depends on the complexity of each case; presently this takes an average of 24 months. Due to the nature of these cases, updates may be received less frequently compared to standard complaints. Likewise FSCS are also a national body who deal with complex cases that include factors outside of their control. With this being the case they do not impose a timescale as each claim is with on a case-by-case basis. How will I know if I’ve had an offer? If you receive an offer of compensation you will be informed by your claims handler, who will call you to discuss any amount offered. They will confirm whether or not the amount is fair and run through the breakdown of your compensation with you, so you can make an informed decision on whether or not to accept the offer. It’s important that we have all the details of your offer so we can tell you exactly how much you can expect to receive from the lender and exactly what you’ll need to pay us. Some lenders will need you to sign an acceptance form. Your claims handler will make you aware of this if required. Please ensure this is returned to us swiftly so we can forward it on to the lender; once received they will issue your refund. Why has my claim been closed? Every case is different. If your case is closed we will send you an update which will explain in greater detail. If you are still unsure why your case has been closed you can find more information on Update+ or by calling us on 01489 660 300. On average lenders release the payment to the customer up to 28 days after the date of offer acceptance, although in some exceptional circumstances this may take longer. Our current fee is 24%, inclusive of VAT, of the gross financial award paid to you by the lender. Note, if you are already a customer of The Fair Trade Practice you may have entered into contract with us before the introduction of the Fee Cap on 10th July 2018. More information on what the Fee Cap means for you is explained in the tab below. The law requires lenders to deduct income tax from any interest awarded to most consumers, which is the other deduction you may see on the offer breakdown from your lender. Our fee is based on the full amount of compensation before income tax. If you are in arrears then your compensation will first be put towards paying these off, however our fee will apply as above. Should your full compensation amount go towards paying your arrears then our fee will still apply and you will need to pay us from your own funds. If you decide to cancel for any reason after the 14-day cooling off period we may charge you a reasonable fee to reflect the work we have done on your behalf as per our Terms & Conditions. What is the CMC fee cap and what does it mean for me? On the 10th July 2018 the Government enforced a ruling that claims management companies (CMCs) had to cap their fees at 20% +VAT for services provided in connection with a PPI claim. This was to ensure that consumers were protected against the excessive fees charged by some companies in the industry. The fee cap means that those customers who sign up on or after this date will be charged 24%, inclusive of VAT, of the gross financial award paid to them by the lender. As ever with our free checking service if we are unsuccessful with your claims then you won’t pay us a penny, subject to our Terms and Conditions. Any customers who entered into a contract with the company before 10th July 2018 will be subject to the terms and conditions agreed at the time. Why do I pay tax on my compensation? We are required to pass on the VAT we collect as a registered company (VAT no. 996428852) by the government and therefore this is not something we benefit from. The law requires lenders to deduct income tax from most consumers, which is the other deduction you will see on your invoice. How quickly do I have to pay you? Our fee is due within 14 days of the day you receive payment from your lender. We stipulate 14 days to allow time for the cheque to clear, should you receive your payment in this way. If you choose to you can pay before you have received your payment if you wish. If the lender is late in releasing your compensation and our invoice date is premature, please get in touch and we will adjust the system accordingly. Make a debit card or credit card payment by emailing accounts@tftp.biz or telephone our offices on 01489 660 270 and speak to a member of our team who will be happy to take the payment from you. Why am I receiving a second invoice for the same claim? There are several reasons why you may receive a second invoice for one of your claims, but don’t worry we will never charge you twice. If a second invoice is necessary the amount you have paid so far will always be reflected on the latest invoice. The main reason for second invoices is in cases where we have not received the Final Response Letter (FRL) from the lender. As our fee is charged on the gross financial award paid to you, in cases where we only receive the net figure for your offer we can only issue an invoice based on what we know so far. Once we receive the full breakdown we will then issue a second invoice for the difference between the net and the gross amounts. Why should I recommend a friend? By continuing to talk to your friends and family about the importance of checking their finances, they could receive compensation they didn’t even know they were owed. It’s free to check*, so what do your friends and family have to lose? Remember we’ll give you a £20 voucher for every person you recommend with bonus £50 voucher for every 5th person up to a maximum of 25. For more details on how recommending works click here. What type of vouchers can I receive? We have two types of voucher for you to choose from, Love2Shop vouchers or Amazon eVouchers for customers registered for Update+. Is there a limit to how many vouchers I can earn? Yes, you can recommend up to a maximum of 25 people. Full Terms and Conditions for the Recommend a Friend scheme can be found here. Where can I spend my Love2Shop vouchers? Love2Shop vouchers can be spent at over 95 high street stores, including Marks & Spencers, Argos and Debenhams. For the full list of retailers and more information click here. How do I get my Amazon eVouchers? Amazon eVouchers are only available via Update+. To access these simply log on, click the ‘My Vouchers’ icon and navigate to the vouchers section. To get your code click the ‘Get Code’ button next to the name of the person you have referred. Your code will appear on the screen with a link to Amazon.co.uk below. In order to credit your voucher copy the code electronically or note it down and click the Amazon link. If you are not logged in to Amazon, you will be asked to do so. Once logged in you will arrive at the page where you need to copy and paste the code and add it to your account. Amazon eVouchers do not expire for 10 years and the £20 will sit in your account until you are ready to spend it. If you are yet to register for Update+ see the “How do I register for Update+” question above.